For over 38 years, H&H Heating and Air Conditioning has been the choice for HVAC in Richmond. H&H has an A+ rating with the Richmond BBB and we are a NATE certified business. While we have strategic partnerships with some of the biggest names in the industry, such as Bryant, Honeywell, Rinnai, Aprilaire, and Mitsubishi, we remain committed to being your local source for great HVAC products and exceptional service. Provide a fast response to all your service calls. Provide a trained and knowledgeable HVAC technician. Finish every heating, air conditioning or HVAC service to your satisfaction. Always be friendly and maintain a professional attitude. Maintain a clean work environment by laying down tarps before beginning work. Take the utmost care to protect your home and property. Provide the best value in town through our Price Match Promise. We are affordable, professional and friendly – so you don’t have any reason not to call us for all your HVAC needs. Discover what your friends already know – H&H should always be your first choice for heating, air conditioning, or HVAC in Richmond. Call our office today to schedule your first appointment and be sure to check out our coupons and Facebook page for special offers. H&H Heating and Air has received an A+ in customer satisfaction from the Better Business Bureau. Contact us at (804) 784-4354 to find out how we can assist you today! 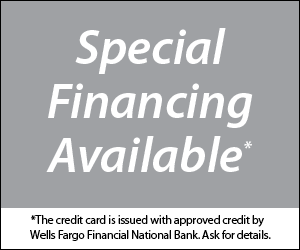 The Home Projects® credit card* program from Wells Fargo Retail Services gives you the power and flexibility to pay for your home improvements over time. BBB has determined that H & H Heating & Air Conditioning meets BBB accreditation standards, which include a commitment to make a good faith effort to resolve any consumer complaints. BBB Accredited Businesses pay a fee for accreditation review/monitoring and for support of BBB services to the public. © 2000-2019, H&H Heating and Air Conditioning. All Rights Reserved.